When I decided to launch a photography business on the Big Island, I felt very lost for a long time. I did not know where to begin, in addition to the fact that I did not know a single photographer on the island having just relocated a few months prior. I quickly turned to ClickinMoms. From there, I found a small Facebook group of photographers in various stages of business but most of us were just starting out, a little lost just like I was! We got to ask our newbie questions, vent frustrations as struggling artists and new business owners and meet new like-minded people online. It was a great space to learn from each other, share ideas and meet new friends! I met Ashley of Ashley Sasak Photography through the Facebook group. 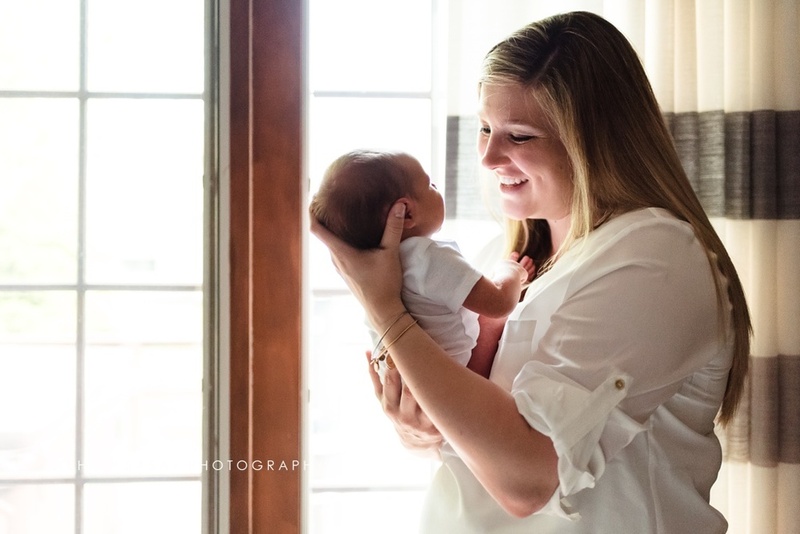 Ashley is a lifestyle newborn, maternity and family photographer based in the Cleveland area. Ashley's work in lifestyle photography is amazing! Her images, especially those from her newborn work, exude raw love and natural beauty. I have never met her in person but through the online photography group, it sure feels like we’ve known each other for months! I am so excited to feature her and her work on my blog today! Let’s get to know her! And if you happen to be in her area, do check her out. Her work is incredible! Aloha Ashley! Thank you for talking to me today and allowing us to get to know you and your work a little bit more. Let's get started! Photographers have so many different stories of how they all got started on this journey. So tell me, how did you get started with photography? I got my first DSLR, a Nikon d5100, as a Christmas gift in 2012. It couldn't have come at a better time for me - my son had just turned one - and he was ON THE MOVE - which left me super frustrated with every photo I took of him being blurry. That Christmas, after opening up that Nikon box, I remember turning that dial to Auto and pressing the shutter for the first time. The resulting image you will see below - I mean I could actually see my son's features! His beautiful blue eyes (well kind of blue, I would learn about white balance later ;) ), his eyelashes, his smile... He was no longer just a blur! I was hooked. It only took me a month to want more. I mean, if my photos were this good on Auto, how good could they be if I actually knew what I was doing? I turned that dial to "M" and never looked back. Ha! I can totally relate on shooting in Auto and still clearly remember the struggles as I switched to Manual! So you started out photographing your family and then shooting professionally for clients. Why do you love being a photographer? Where do I start? I love everything about it! I love meeting new people, holding new babies, and hearing my clients' stories. I love that with one click I can capture a moment forever for a family. 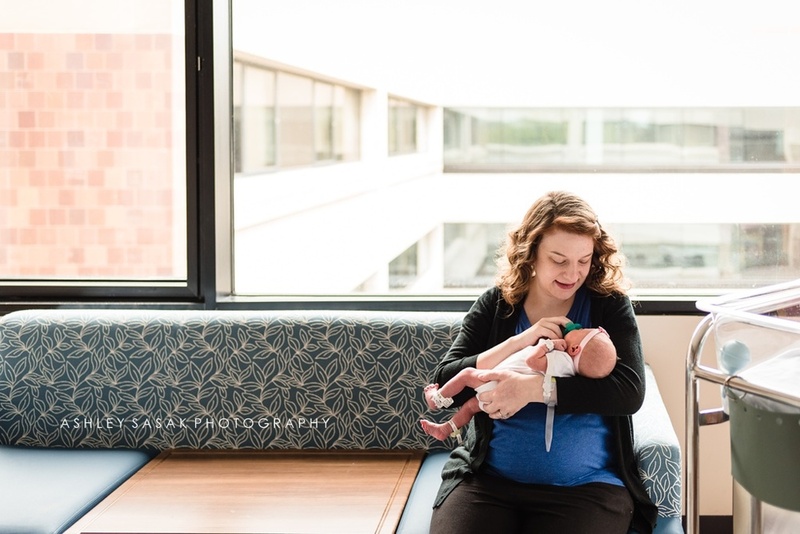 I love making new moms look and feel beautiful in their photos - even if sometimes they don't feel that way on the inside. I love getting to see the love in the eyes of a new parent or parent-to-be. I love seeing the final images as art in my clients' homes. I even love the non-shooting part of owning a photography business - the editing of each photo to make it fit my vision, the marketing, the blogging, and designing albums and announcements for my clients. I love the learning, the networking, and yes, even the finances (ok, this one's my least favorite :) ). All my life, I've been waiting to find what I'm meant to do with my life (besides, being a mom, that is). And I'm so happy that I finally found it. I haven't been in front of your camera and I am positive that is exactly how your clients feel just seeing every single photo you share of your work on social media! As I have said before your lifestyle work is amazing! You really capture your families and your babies so beautifully. As a photographer, what is your favorite location? My clients' homes! In my opinion, their home is the perfect backdrop for a maternity or newborn photography session. This is where they make their everyday memories. This is where they live, where they love, where they are raising their family. I love capturing the details that makes a family's home their own - the nursery they worked so hard on, their beloved furry family member, the couch they hang out on as a family. These are the moments and the details that they will want to remember when their babies are grown. You really do give your families something they will treasure for decades! You shoot a few different subjects, tell me what is your favorite photo to date? As to favorite client image: Fresh 48 sessions are my first love. There is just something about the newness of a baby that gets me every time. Plus, I'm slightly obsessed with baby feet. This image encompasses both of those things for me. I have to say, I am a fan of baby feet too! It is my favorite newborn detail! And that image of your two littles is perfection! How do you describe your shooting style that really allows you to capture your subjects' personalities so well? I shoot from the heart. I want to capture the moments that will make you look back and FEEL something when you turn the pages of your session album. I want you to feel the love of your family, your joy, and your home oozing off the page. My goal in every session is to capture the extraordinary beauty of your life at this moment in time. I love to capture the details - from the decor in your nursery to the way your baby clutches your breast when he nurses - no detail is too small to me. I also have a special place in my heart for capturing the bond of babies and their mamas. Maybe, it's because Mom is usually the one behind the camera. Maybe, it's because in general Moms don't like photos of themselves. Maybe, it's just because I'm a mom myself. But, part of what I love with each session is providing each of my Moms with love-filled images of them and their babes to have forever. And it really shows in your images Ashley! So let's imagine you could choose any photographer to take your photo, who would that be? Hmmmm, this is a hard one. I love SO many!!! If I ever have another baby, I would love to have Michael and Sophie Kormos from Michael Kormos Photography - I'm obsessed with their in home newborn sessions. And to shoot my birth, it would have to be Bonnie from Bonnie Hussey Photography - the moments she captures are truly amazing. 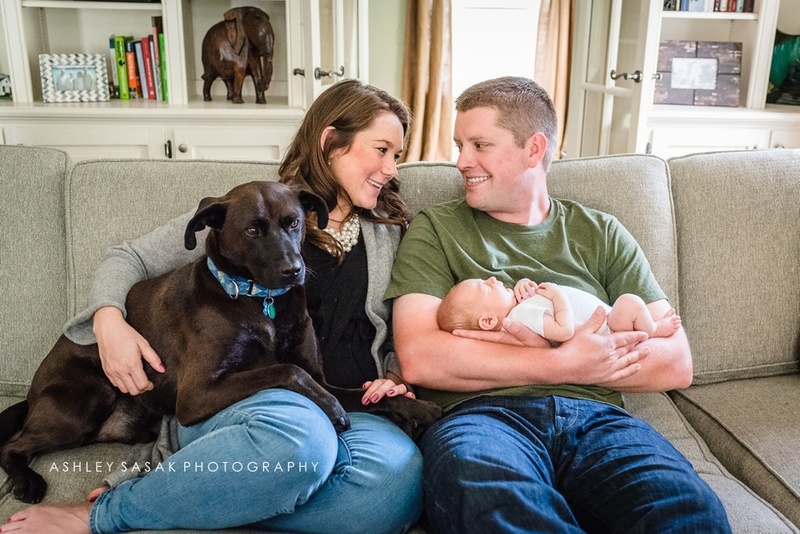 For a family session, Sara from Sara-Beth photography - I love the way she uses light and the connections in her images get me every time. And if I ever get back to Hawaii, Ann Ferguson Photography will definitely be doing a beach session for us!!!! Ah I am flattered! I would be such a pleasure to capture you family during a Hawaii vacation! As a creative myself, I often wonder about what it is like to try out new things, those that are beyond our target genre. Is there anything on your photography bucket list that you’re dying to do? I would love to start offering birth photography. Hopefully, this is something I will be able to offer to clients once my boys are in school :) . Indeed, birth photography holds a special place in my heart as well. The unpredictability does lead to a huge time commitment, and I hope you get to do it someday! So you opened you business just over a year ago and, already, you are having so much growth and success this year; what are your top two goals for 2017? 1. Continue to work on and grow my business. I can't wait to photograph more beautiful bellies and babies! 2. To try to find a better balance between work and family life. Being a work-at-home mom is harder than I would have ever thought. Those work hours creep into family time so easily. I would love to spend more time with my boys and maybe take a family vacation! Help my readers get to know more about you. Tell us five random facts about you? - My first car was a blue 1971 Volkswagon Beetle. It cost me $650. I wasn't allowed to drive it out of my little town or in the winter because it didn't have windshield wipers or heat and the battery was bungee-corded to the back seat. But, man, I loved that car <3. - I love to sing karaoke and have even won a contest or 2 ;) . Any songs by Carrie Underwood or Miranda Lambert are my favorite. - I was a firefighter/EMT for 8 years before becoming an ER nurse. - I am an HGTV addict. Especially House Hunters and Fixer Upper. I love ANYTHING Joanna Gaines designs. - Craft beer is my guilty pleasure. My all-time favorite beer is Southern Tier Pumking. My husband even bought me a 1/6 barrel keg of it as a "push present" with my first son :). My current favorite for summer is Fatheads Brewery Bumbleberry. Such a refreshing beer at the end of a long, hot, summer day! If and when you do come to Hawaii, we are definitely singing Karaoke at my house! One last question, when you are not busy being a photographer, what do you love to do in your spare time? During the week, I'm usually struggling to catch up on housework and laundry while trying to fit in a workout or two, play-time with my kids, and get in some Netflix or reading time. I'm also still working as an ER nurse 2-3 times/month. When my husband and I are both around, you will most likely find us (and our giant double stroller) exploring fun things to do in our city. We love walking to parks, playgrounds, concerts, festivals, and new restaurants. Weekends, when I don't have sessions, are spent at my parents' cottage in Conneaut Lake Park, PA - boating and beachin' it :). Sounds like a super fun family time! Mahalo, Ashley, for taking the time to answer these questions and allowing us to get to know you better. I really hope you make it to Hawaii soon for some beach fun and Karaoke! To find out more about Ashley and her impeccable work, you can find her on Facebook, Instagram and her Website.